This work was created for Aeneas Wilder's third solo exhibition at INAX Gallery in Tokyo. 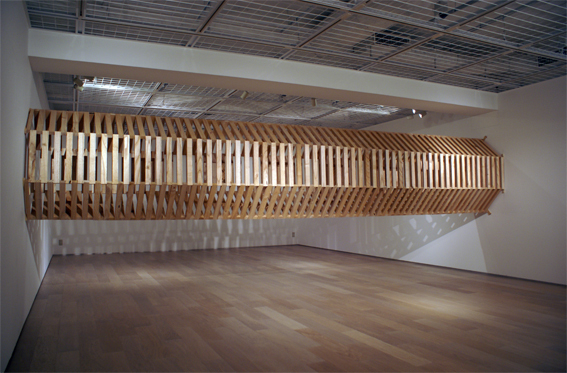 360 units of wood were compressed between the walls of the gallery. They are all held in place solely through compreshion. 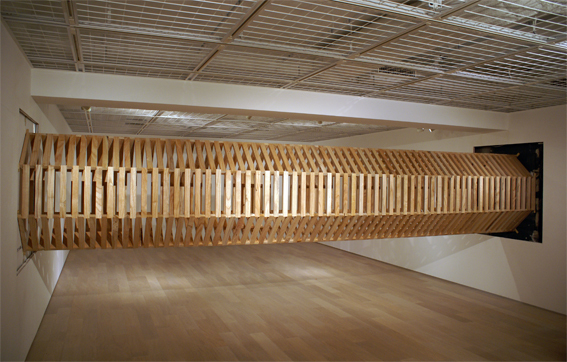 Wooden wedges, hammered in at each end heighten the tension of the structure, allowing the work to stay in place for an indefinite period of time. The first installation (Untitled # 128) lasted for 26 hours. A second version was completed and documented fully on video. For the second installation it was necessary to expose the concrete pillars of the building. The second structure lasted for an undetermined period of time, possibly collapsing due to a small earthquake during the night. A third installation is now in place in the gallery. 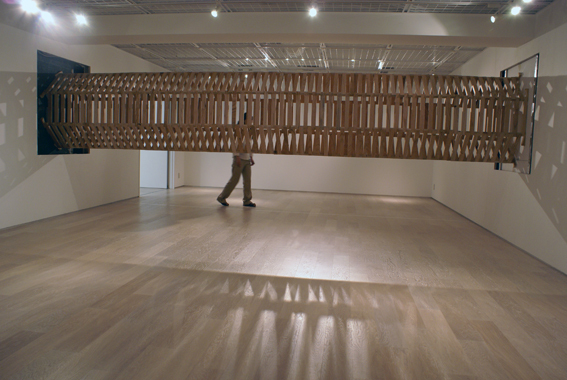 It spans a total distance of 602cm (19ft 9 inches). If this too succumbs to gravity, the video documentation showing the production process will be presented in the main gallery space for the duration of the show.